What’s about my everyday life? ABS-CBN currently applied for Digital TV service and will utilize Digital Video Broadcasting – Terrestrial (DVB-T), with the joint venture to Europe’s Impeq Technologies to implement digital signals throughout the country. Besides, these digital signals also allow households to watch ABS-CBN, Studio 23, and the company’s 6 other affiliates in High Definition (HD) Format. UAAP Season 73 Men’s Basketball is the first program to be broadcasted in HD locally, with their media partner ABS-CBN Sports. UAAP Season 73 Men’s Basketball is shown on HD on its whole season in Balls HD, SkyCable Channel 166. As of now, ABS-CBN Sports planned to offer NCAA HD, in line with the continuous UAAP in High Definition format. FIRST Network-based Radio Station in the country to operate in HIGH DEFINITION RADIO. DWRR 101.9, now reformatted as Tambayan 101.9 San Ka Pa? Has now utilized high definition radio as part of their reinforcement plan on giving their listeners the greatest quality of any radio stations could have. HD Radio offers 5.1 digital surround sound audio quality, as well as greater signal reception. 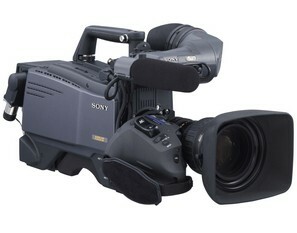 ABS-CBN, in partnership with Sony, acquired 24 multi-million HDC-1400 Portable Studio cameras in line with the upgrade of their studio facility in the ABS-CBN Headquarters in Quezon City. With the use of newly-intergrated Sony XDCAM HD cameras, ABS-CBN once again dethroned any other TV networks in the country to do tapeless productions. Last 2008, ABS-CBN, in partnership with Sony, used Sony Professional Disks instead of tapes in recording TV shows and live streamings. In line with the network’s migration to digital television broadcast, ABS-CBN, with Snell Kahuna, purchased SD/HD multiformat switchers for full-HD integrated production. Aside from that, ABS-CBN upgrades their Outside Broadcast (OB) Vans from SD to HD, which became the first in the Philippine History. ABS-CBN Interactive (ABSi) was launched in 1996 to enhance the multimedia’s strength online. ABSi administrates the main website ABS-CBN.com and other services such as KText, and all other ABS-CBN Multiply Sites. In 2008, ABS-CBN bought license in Multiply from Baton Rouge, Florida, USA to expand its accessibility online. Now, every ABS-CBN program has its Multiply Site, offering streaming and media to be downloaded. 1964 was the year ABS-CBN used 1” Helical Video Tape, a first in a TV history. Betacam format was the most popular format used worldwide. In 1987, ABS-CBN was the first network to utilize Betacams to record a program. With the birth of TV Patrol, ABS-CBN was the first network to use electronic newsrooms in broadcasting the lastest news all over the Philippines. ABS-CBN Licensing Group was the first network-based department to produce merchandising items from ABS-CBN programs. It was all started in1996. 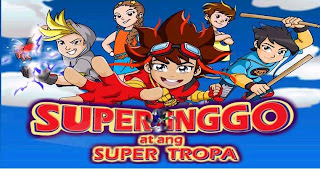 ABS-CBN Animations, bringing the first locally-animated TV series Super Inggo at ang Super Tropa, 2009. Led by Guia Jose, a part of the creative team of Hannah-Barbera, an animation studio that made the Jetsons and the Flinstones popular of, ABS-CBN Animations is one of the FIRST in the television industry offering more sophisticated animations locally-produced in the country. 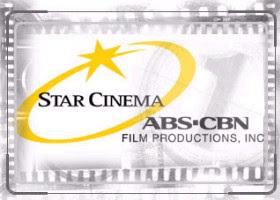 As of this writing, ABS-CBN Film Productions, also known as Star Cinema, owns the highest grossing Filipino film of all-time, with venture to Viva Films. 2009 film You Change My Life, starring John Lloyd Cruz and Sarah Geronimo, is the sequel to their 2008 movie A Very Special Love, which is also one of the highest-grossing Filipino flick of all-time. Garnering 230.44 million pesos, beating its sister film in terms of the film production outfit, Sukob, which has only 186.41 million pesos in 2006. Star Cinema owns 8 of the highest-grossing flicks of all-time. List includes Caregiver of Sharon Cuneta (P 147M) at 8th place, One More Chance by Bea Alonzo and John Lloyd Cruz in 2007 (P152.79M) at 7th, Judy Ann Santos’ comeback film in Star Cinema and 2006’s MMFF box-office film Kasal, Kasali, Kasalo (P162.37M) at 6th, Ai-Ai delas Alas’ first box-office film Ang Tanging Ina in 2003 (P177.82M) at 5th, co-ventured with Viva Films is a 2008 flick A Very Special Love (P179.57M) at 4th, Claudine Barretto and Kris Aquino’s horror movie Sukob (P186.41M) at 3rd, 2008 MMFF’s box office movie of the year, Ang Tanging Ina Nyong Lahat with P197M and 2nd and topmost is another co-ventured film with Viva, John Lloyd Cruz’ and Sarah Geronimo’s You Change My Life with P230.44M on box-office tallies, or over $ 4.7M according to Box Office Mojo. ABS-CBN has now 15 cable channels including its main station ABS-CBN and UHF Studio 23. These are Cinema One, Myx, Balls, Balls HD, Velvet, Knowledge Channel, Hero TV, Lifestyle Channel, Maxxx, Pinoycentral TV, ANC, Tambayan 101.9 TV, and DZMM Teleradyo 630. Besides, ABS-CBN also offers pay-per-view channels like Pinoy Big Brother and Pinoy Dream Academy 24/7. ABS-CBN Publishing covers 200 key cities and municipalities all-over the Philippines. With the help of ABS-CBN’s The Filipino Channel, ABS-CBN Publishing has been recognized as the first Filipino Publisher to have overseas significant sales. ABS-CBN will TOP the TALLEST STRUCTURE in the Philippines’ list. 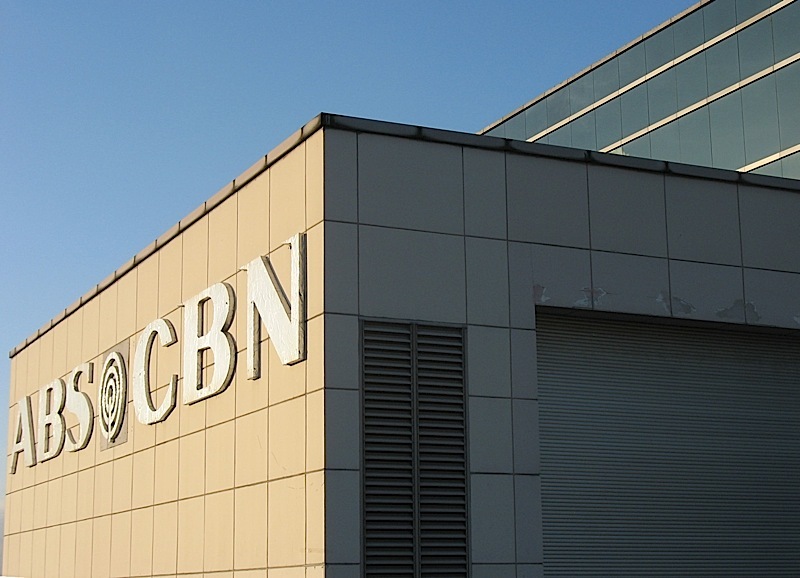 ABS-CBN is currently reinforcing their TV Tower in ABS-CBN Broadcasting Complex in Quezon City, providing that the network is getting ready to migrate in digital TV. The TV transmitter, locally and currently situated within a height of 198 meters, will be in a high-rise, succeeding its rival network TV transmitter, GMA Network’s Tower of Power (237 meters), leveling up to almost 250 meters. This will give ABS-CBN much better reception on Mega Manila, and gaining again their reigning ratings for 13 consecutive years. FIRST to bring a showbiz entertainment news program in primetime slot. In 2008, Showbiz News Ngayon, or SNN, is the first entertainment news program in the primetime slot, hosted by the Queen of All Media, Ms. Kris Aquino and King of Talk Shows, Mr. Boy Abunda. After Pinoy Big Brother Double Up’s success, PBBDU Big Winner Melissa Cantiveros and 3rd Big Placer Jason Francisco has done the first realiserye in the Philippine TV history. With the title Melason In Love, the program aims to show how Melissa and Jason loves each other even outside the real world of the Big Brother House. ABS-CBN reigns for 16 years straight in the TV ratings from their comeback in 1986 up to 2003. Also by the Philippines’ Soap Opera Queen Judy Ann Santos, “Esperanza” was the highest rated soap opera in the Philippine TV history, garnering 58% in Mega Manila and 63.5% in National Urban TAM ratings (NUTAM). Game KNB? drawn the highest jackpot prize in the history of Philippine TV with Php 5 Million. Starring the Taiwan’s No. 1 Boyband, F4, and Barbie Xu, “Meteor Garden” was the Philippines’ first Asianovela to be aired on the country. 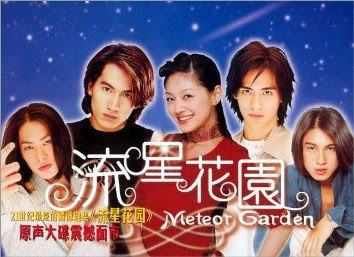 Like Mexicanovelas, Meteor Garden was also dubbed and garnered the highest rated Asianovela in the Philippine TV history, with 63.8% on the NUTAM. Thalia’s “Rosalinda” was the highest rated Mexicanovela in the country with NUTAM ratings of 68.9% on its July 13, 2000 episode. Broadcasted the HIGHEST EVER Philippine TV Show and TOP-RATED among Philippine Sports Broadcast. Manny “Pacman” Pacquiao’s match over the defeated Morales of Mexico entitled “Hataw Pacquiao, Laban ng Bayan” was the highest rated Philippine TV show ever in the history of the Philippine TV, with NUTAM ratings of 83.5% in 2006 and also the top-rated Philippine sports broadcast. ABS-CBN has an asset base of Php 34 Billion or US 707.09 Million dollars as of March 2009. Endemol, a Netherland-Based TV Network, brought the franchise of the first international reality show in the Philippines via ABS-CBN, “Pinoy Big Brother” launched in 2005 where unfamiliar people lived in Big Brother’s House for 100 days without any communication from the outside world. Claudine Barretto starred in the Philippines’ First fantaserye via ABS-CBN last 2004 entitled “Marina”, a story about a mermaid that wishes to have feet. Also, ABS-CBN broadcasted the first action-serye in the Philippines in 2004 entitled “Basta’t Kasama Kita” of Judy Ann Santos and Robin Padilla. This action-serye also breaks the ground when it did the first live ending in the country’s TV history. ABS-CBN also ground broke the first cinema remake in a teleserye (also known as sineserye) in 2005 when a cinema hit of the present Batangas Governor Vilma Santos-Recto entitled “Kampanerang Kuba” was remade by young actress Anne Curtis with the use of modern and advanced prosthetics. For over 18 years of being the number one drama anthology, Maalaala Mo Kaya touched every hearts of Fili[ipino people as the longest drama anthology in the history of Philippine TV. ABS-CBN made the first modern musical soap opera, with the one and only Superstar Nora Aunor and Carol Banawa, entitled Bituin. The late-night newscast “Bandila” proudly to be nominated in the previous 2007 International Emmy Awards beating 800 entries worldwide in the News and Current Affairs Category, and known as the first Filipino program to be nominated in the said prestigious award. With GMA Network’s tie-up for being nominated, ABS-CBN once again has nominated one teleserye in the International Emmy Awards in 2009. Kahit Isang Saglit, a joint-venture of Malaysia’s Double Vision, is nominated in the Best Drama category while Angel Locsin’s portrayal of her role in Lobo was nominated in the Best Actress category. The second highest rated teleserye in the Philippine TV history, “Pangako Sa’yo” starring Jericho Rosales, Kristine Hermosa, Eula Valdez and Jean Garcia, was the first Filipino TV show to be franchised abroad namely in Indonesia, Malaysia, Thailand, Cambodia, Singapore, Kenya, Ghana, Cameroon, Tanzania, Namibia, Zambia, China, Botswana, Guam and the USA. 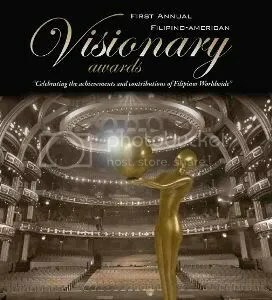 In the First Filipino-American Visionary Awards held last month at the Kodak Theatre USA, ABS-CBN, the largest multimedia corporation, bagged the Legend Media Pioneer Award for encapsulating the brightest stars of the television and pioneering the multimedia broadcasting in the Philippines. With the extent of producing state-of-the-art weather forecasting, ABS-CBN done the first 3D weather forecast through the mother news program, TV Patrol, in 1996. Being the largest multimedia conglomerate, ABS-CBN has to offer beyond television existence of a broadcasting network, from recording, to film, to merchandising and publishing, regional and international broadcasting and in the future, to offer digital television services. ABS-CBN’s Takbo Para sa Kalikasan in 2000 was the first run-for-a-cause program done by a TV network, in line with its network slogan, “In The Service of the Filipino”, with the help of ABS-CBN Foundation. Presently, Takbo Para Sa Kalikasan is under the management of ABS-CBN’s Bantay Kalikasan, with its new title “Takbo Para sa Ilog Pasig” for the rehabilitation of the Pasig River. A sequel to my earl post, once again, the ABS-CBN’s first in Broadcasting history. With the acquisition of the Lopez’ to Sarmiento Telecommunication Network (then renamed Philippine Telegraph and Telephone Company or PT&T), it became the first TV venture to a Philippine Telecommunication network. In the mid-70’s, ABS-CBN was the only Philippine TV Station in color and increased their programming up to 8 hours a week. 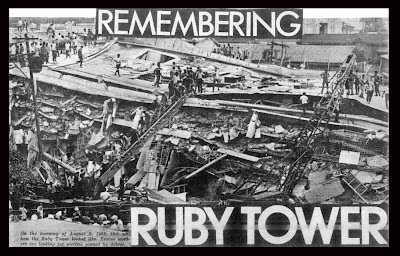 On July 17, 1972, “Damayan”, the first telethon was gathered by big stars such as Dolphy, Vilma Santos and Nora Aunor to help the devastated places in the country affected by the Typhoon Isang. “Bridges on the Air” became a reality on 1988 using the acquired PT&T and simulcast programming over Luzon, Visayas and Mindanao using microwave transmission. The longest primetime newscast program, “TV Patrol”, was the first Filipino program to be seen abroad in September 1992. 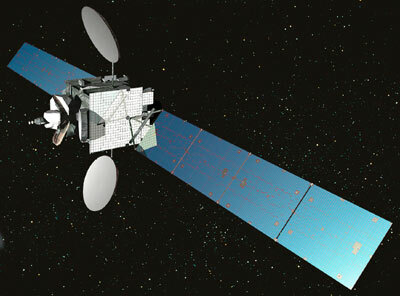 With the venture of ABS-CBN, the country’s largest network, to one of respected international telecommunication network, PanAmSat (Pacific – North American Satellite), ABS-CBN switched from international taped telecasts to live satellite feeds. ABS-CBN expands its growth to Philippine movie production by Star Cinema with its debut movie turned into a blockbuster movie, “Adan Ronquillo”. Now, ABS-CBN Film Productions, Inc renowned as the Philippines’ largest film production, next to Regal Films. As ABS-CBN signed historic lease with PanAmSat, ABS-CBN expands its broadcasting into The Filipino Channel (TFC) with now 80% viewership throughout the globe from Middle East, North and South America, Europe, Africa and Australia-Pacifica. 1992 Summer Olympics in Barcelona, Spain was the first Philippine broadcast of an international sports event was owned and aired the rights of ABS-CBN. Like the 1992 Barcelona Olympics, ABS-CBN owned the rights to broadcast live of the 1994 Miss Universe Pageant, the first live Philippine broadcast for international beauty pageant and also garnered the highest rated live broadcast with an average NUTAM rating of 62.5%. ABS-CBN has now the first Philippine TV network to have an international TV station in North America, now it is used as TFC office in North America. Sarimanok News Network, now known as ABS-CBN News Channel or ANC, was the first terrestrial cable channel owned by a broadcasting network in the Philippines, also the first terrestrial cable channel to simulcast 24-hour continuously of news and current affairs programming. I was to update my list of the firsts in the Philippine Broadcasting History of ABS-CBN, the Southeast Asia’s No. 1 Television Network. Here is the first part of the list. ABS-CBN was founded by James Linderberg and Antonio Quirino (owns ABS 3) and Eugenio Lopez Sr. (owns CBN 9) on June 13, 1946. The two first television networks formally merged on February 1, 1957. The merging of ABS 3 and CBN 9 formed the Philippines’ largest media conglomerate. 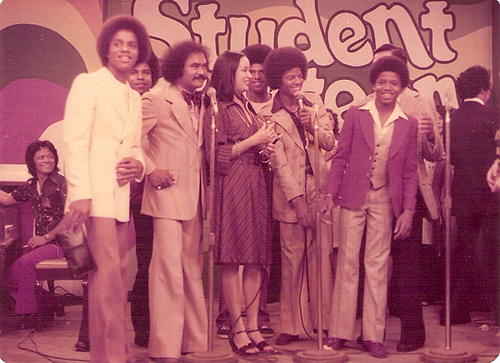 ABS-CBN aired the first noontime variety show “Student Canteen” that provides innovative blends of contests, games, musical performances and superb hosting for noontime entertainment. 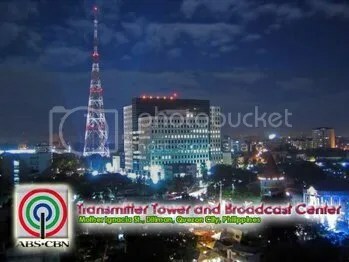 June 14, 1961 when ELJ (Eugenio Lopez, Jr.) built the first provincial TV station in Cebu airing 4 hours with the tallest tower (in that time) in Cebu measuring 216 feet. 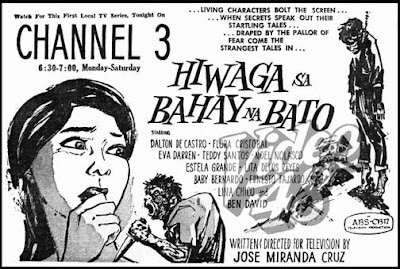 “Hiwaga sa Bahay na Bato” was the title of the first Philippine soap opera aired in ABS-CBN in 1962. 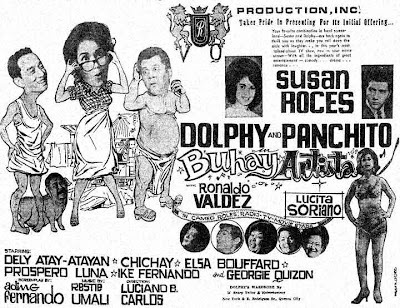 Dolphy was the main star in ABS-CBN’s and Philippines’ first comedy show entitled “Buhay Artista” in 1964. With the joint venture of ELJ to Radio Corporation of America, Philippines now enters the world of color TV broadcasting. The largest media corporation ground breaks the first marathon election TV coverage on November 14, 1967 entitled “Halalan ‘67” that airs polls and updates for straight 36 hours on television. ABS-CBN won 2 Gold Medals for Excellence in the New York TV and Film Festival for the Sarimanok Station ID. The internationally-awarded Sarimanok Station ID was the first station ID in color. People of the Philippines witnessed the man’s first step on the moon when ABS-CBN delivers “Man on the Moon” coverage, the country’s first TV telecast of an interplanetary event via satellite, anchored by Bong Lapira that airs live feeds and updates with annotations in the Philippines with the country’s brightest scientists.